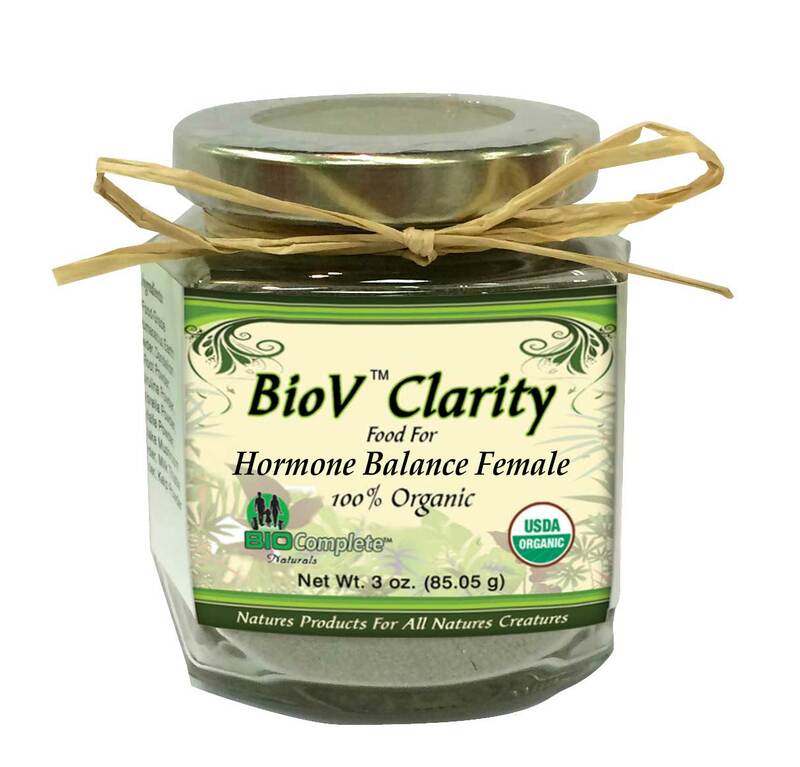 BioV™ Clarity Hormone Balance Female - Our proprietary blend of botanical foods is designed to support a wide range of endocrine related challenges. This blend supports the body by rebalancing the essential Female hormones. Injury, removal of organs, disease and toxins cause hormonal imbalances which can effect optimal health. Beneficial to pets that have been sterilized as well. This blend is effective in detoxification and supports body re-balancing of the essential hormones, enzymes and minerals. Ingredients - A proprietary blend of: Maca, Tulsi, Shatavari, Calendula, Burdock, Epimedium, Kelp, Dandelion Root, Dong Quai, Shiitaki and Diatomaceous Earth Powder (food grade).